Ok, I know it's the New Year and we're all probably making resolutions to eat healthier, and exercise more...probably. Well there are still going to be moments when you need that chocolate fix. And this Meringue Topped Brownie is going to fix, that fix! 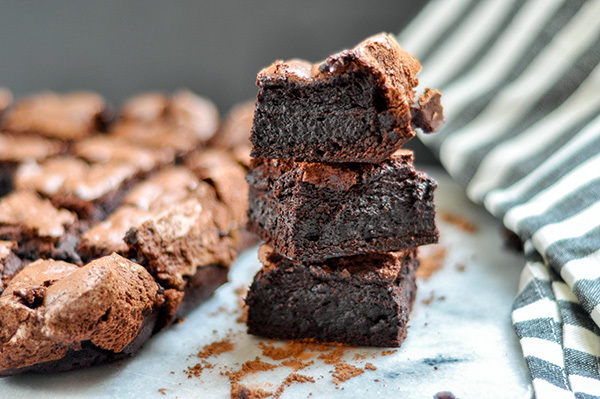 Just imagine a fluffy chocolate marshmallow onto of a rich, gooey brownie. Yes. I know. 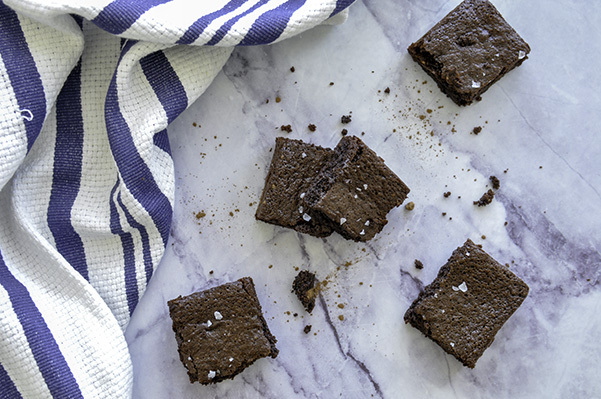 It's decadent, but one small square will satisfy your chocolate craving and then you can get back on track with whatever paleo, grain, acai, keto bowl you were trying to eat. here are certain times of the month when my cravings for sweet and salty are on high alert and these salty peanut brownie bites truly hit the spot! So I decided to whip up a batch of brownies. But this was no easy task. I have always been a big fan of boxed brownies. They were easy (you can't beat one bowl) and they were moist and chocolaty. But when you're trying to stave off preservatives and processed foods, a boxed mix just won't do. So I went on a search. I realized that I don't like brownie recipes that called for melting chocolate. It sounds tempting, but I never found them to be that chocolatey and the brownies always came out kind of dry. Maybe its just me, but also melting chocolate made this a pot and bowl recipe and I don't know about you, but I need less dish washing in my life.